Writing for Your Life produces online webinars that feature leading spiritual authors and industry experts presenting on various topics in the areas of “how to write” “how to get published” and “how to market and build your platform”. 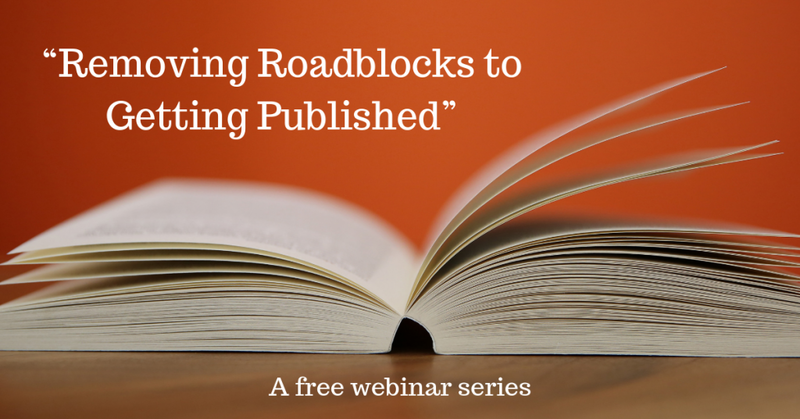 Check out our free webinar series “Removing Roadblocks to Getting Published” – featuring many of our Writer Support Services and author partners. The following previously recorded presentations are available for your reference. Click on the title to learn more about the video or to view it. Rebecca: These webinars were really wonderful. The information was exactly what I needed to know. Carol: Thank you so much for providing these webinars. They are incredibly helpful and informative. Katie: The advice you’ve published through your workshops, webinars, and Writing for Your Life emails contain so much good counsel. Kerry: I just wanted to say how much I appreciate your program, its noble goals, its modest cost, and truly helpful content. Please keep going! Kendall: Your conferences have been so valuable, I really appreciate them. John: I so enjoyed the webinar series on social media marketing. I’ll give it the best praise I can think of: it’s already changed the way I approach marketing. I’ve relaunched my Twitter presence, given my website a long-overdue repositioning, and thought through some other things. Angie: thank you for this conference. You have provided us with excellent speakers, who have a wealth of knowledge, and I feel so fortunate to glean from their experiences. Kim: the webinars have been wonderful! Thank you for arranging such an inspiring conference! Kelly: Brian, both of your presentations were great! Edie: I watched it from Seoul and it was just great!!! Kim: Rachel Held Evans, you are inspired and inspiring!! Thanks for sharing your learning and insight!! Kendall: @LilCopan thank you for helpful guidance navigating the publishing world. You’ve made the 1st step much less daunting! Pat: Chris Ferebee, THAT WAS AWESOME!!! Angie: I thoroughly enjoyed your discussion with Fr. James and I’m looking forward to watching the other videos. This conference is an amazing idea. I’m grateful for the opportunity to attend something like this–especially since I live in Alaska and conferences of this sort don’t come around too often. Martha: great presentation Jana and very inspiring! Kendall: A great final webinar from @JonathanMerritt to close out @writing4urlife. Got that ‘secret sauce’ simmering, I’m ready to feast. Anonymous (from the feedback survey): In all, I am absolutely pleased with the conference and so thankful for the opportunity to hear all the amazing presentations! Linda: I have been really enjoying the webinars. What an amazing group of professionals you have gathered together for this conference. To purchase recordings from past webinars click here. Inclusion in one of our conferences does not represent an endorsement of that person’s religious or political views or those of their employers.